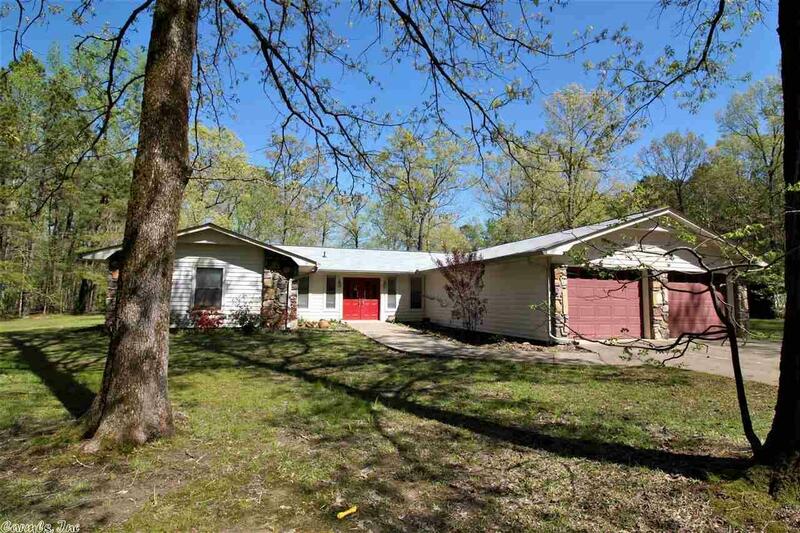 Updated home on 3.14 acres fully fenced w/large shop & metal building! Open floor plan. No carpet. Gorgeous new kitchen w/granite, under cabinet lights, SS appliances, double oven, fridge stays. Living room w/vaulted ceiling & fireplace. Master suite redone w/heated tile floors, walk in shower w/body shower system, double sinks w/granite, & instant hot water. Dining room. Office. In ground storm shelter in the 2 car garage. New roof on house & shop 2019, water heater 2017, heat & air 2016, lots of upgrades!